The track and video of “Body and Soul,” recorded by Amy Winehouse and Tony Bennett on March 23, 2011 at Abbey Road Studios in London, will be released in its entirety on Wednesday, September 14 to commemorate Amy Winehouse’s birthday. “Body and Soul” became the final recording Amy ever made before her passing on July 23rd of this year. September 14 marks what would have been the singer’s 28th Birthday. Plans will be announced for donation of proceeds from the sale of “Body and Soul” single and video to the Amy Winehouse Foundation. MTV Networks will premiere the video at 6 AM (ET) on September 14 and MTV, VH1, MTV Hits and MTV U will play the video hourly throughout the morning. The “Body and Soul” video will be released online at Vevo and MTV.com. Additionally, morning radio across the country will be playing the track as part of the launch of the single. The recording session was filmed by Oscar-winning cinematographer Dion Beebe (“Chicago,” “Memoirs Of A Geisha”) as part of a major documentary film on Bennett in the works. “Body and Soul” is one of 17 tracks to be included on Tony Bennett’s forthcoming CD, DUETS II, due out in the US on September 20. 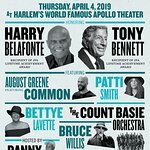 Released in honor of Bennett’s 85th birthday, which he celebrated on August 3rd of this year, the album features a celebrated roster of artists who all recorded with Bennett live in the studio including Lady Gaga, Michael Buble, Queen Latifah, Carrie Underwood and John Mayer.